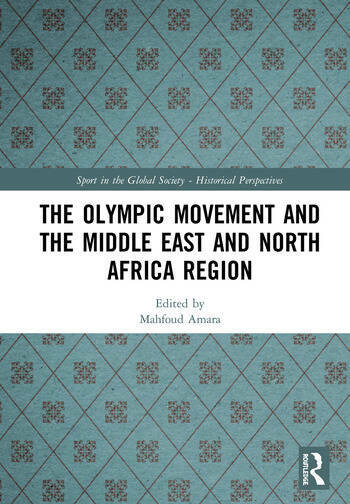 This book offers different insights into the study of the Olympic Movement in the Middle East and North Africa (MENA) region. It seeks to capture how political and cultural nation-state building and economic transformations are impacting the region’s engagement (and disengagement) with the Olympic movement and the Olympic Games, as well as Paralympic Sports. This book was originally published as a special issue of The International Journal of the History of Sport. Mahfoud Amara is currently the Director of the Sport Science Program at the College of Arts and Sciences at Qatar University. He has published on sport, business, culture, politics, and society in the Middle East and North African region. His other research interests are sport, multiculturalism, and intercultural dialogue in Europe, including the provision of sport for ethnic minorities, and sport and social inclusion. His recent publications include Sport, Politics and Society in the Arab World (2012); Sport in Islam and in Muslim Communities (2015, ed. with Alberto Testa); and Sport in the African World (2018, ed. with John Nauright).